A quaint, small town like Hopkinton, Mass., doesn’t often see a spectacle of the magnitude it will see on Saturday, May 15. 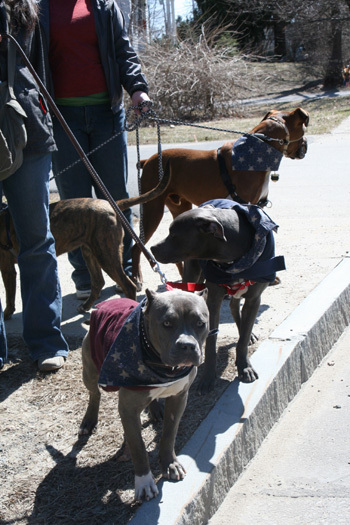 Hundreds of dog guardians and their pooches will gather to march in the 2nd Annual Bully Parade & Peanut Butter PLUS Drive hosted by the New England Bully Breed Club, which was founded in 2008 to promote responsible dog ownership, raise awareness about misunderstood breeds and aid local rescue efforts. 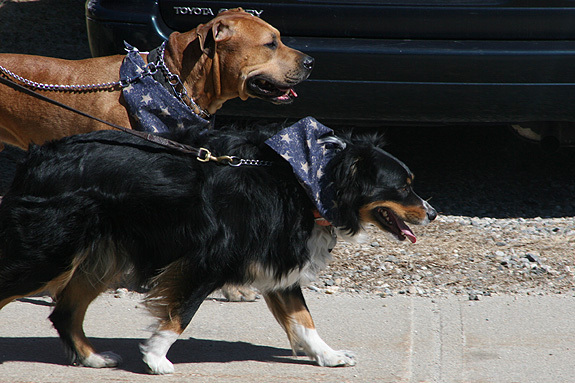 Last year’s event attracted over 200 handlers and their dogs, most of them pit bulls, who marched a pre-determined route through this quiet little town, turning heads and stopping traffic along their three-mile walk. They also met back at the starting point for barbeque-style food, drinks and celebrating these wonderful, but maligned, breeds. The predominant type of dog in attendance was, by far, the pit bull, as well as German Shepherd Dogs, Rottweilers and American Bulldogs, but what may surprise some is the number of Labrador Retrievers, Chihuahuas and “all American mutts” who tagged along, as well as the token Australian Shepherd, Beagle and Rat Terrier, all there to have a great time supporting their bully-breed friends. 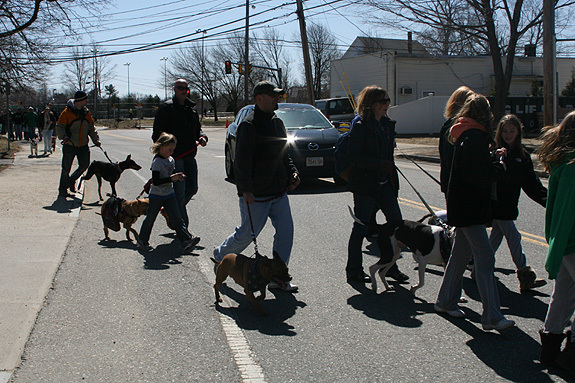 Local newspapers and media showed up, and residents slowed their cars and came out of their houses to ask, “Are these all pit bulls? Wow!” All day long, however, not one negative response was noted, and attendees were well managed and on their best behavior! This year, registration will begin earlier at 10:30 a.m., as an even bigger onslaught of dogs and their handlers are expected to attend. Nutra-9 will be in attendance this year with their bully-friendly toys and supplies, as well as Cody’s Creations, with hand-made collars and treat bags available with the NEBBC logo; a portion of all proceeds from Cody’s Creations will go to benefit the efforts of the NEBBC! We will also be offering Canine Good Citizen testing beginning at 8 a.m. prior to the start of the parade at noon! My name is Cassie-Leigh Stock, and I am the president and founder of the New England Bully Breed Club. I have seen it grow from a one-person, one-dog idea in December of 2008, to a successful, active and influential organization of over 440 members in the span of three years. I have had the privilege of meeting some of the most talented, dedicated, passionate, most committed individuals one could ever hope to meet, who may have nothing in common beyond an immense love of a misunderstood breed. 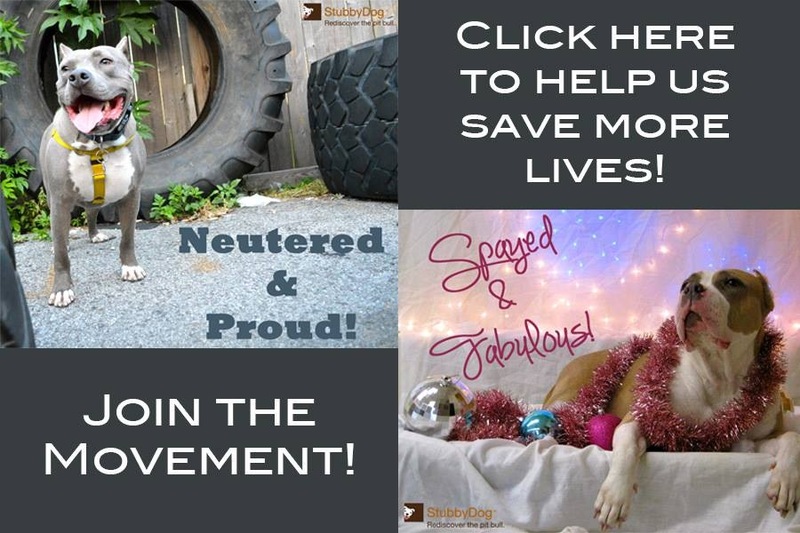 It is humbling to see these same people brought together as colleagues, friends and associates in order to fight the stereotypes, reverse breed-discriminatory legislation and raise awareness to show the world what these maligned dogs who were once America’s sweetheart, the nanny dog, the most decorated dog in American war history, can really be. The 2011 Bully Parade & Peanut Butter PLUS Drive was the single most inspiring thing I’ve ever seen this club accomplish, and, with the help of many, my single greatest achievement. The 2012 Bully Parade promises to be bigger and even better, and we are very, very grateful for all the support. 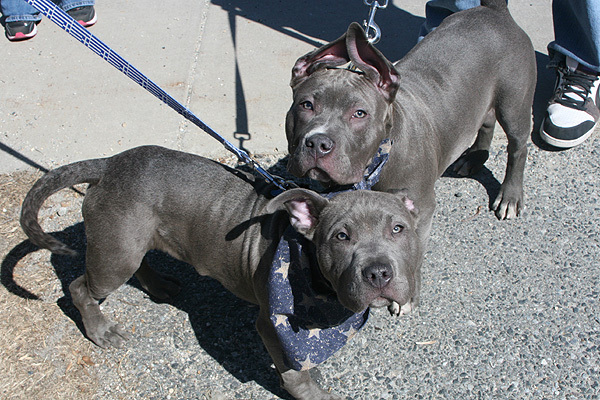 quick note — the first link for New England Bully Breed Club isn’t working! It takes you to nebbc.org — but it’s a blank page. @ElleWimberly Thank you, the link is fixed now.